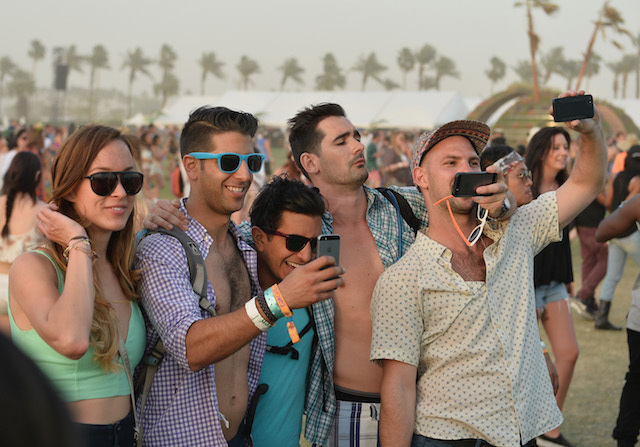 This year Coachella&apos;s organizers have put the hammer down and banned that despised yet somehow popular accessory of vanity: the selfie stick. As Brooklyn Vegan points out, the selfie stick appears on an extensive list of contraband that includes drones, drugs, fireworks, explosives, knives, weapons, and hula hoops. GoPros are cool, though. Over in Chicago, Lollapalooza has enacted the same ban. Every outlet has reported that Coachella&apos;s ban extends to "narcissists," which would seem pretty damaging to their bottom line. Who could still go to Coachella if such a rule was in place? Don&apos;t worry Gen Y. Our eagle-eyed staff at LAist was able to decipher the all-caps and determined it says "narsisstics"—a kinda lame, punny name for something deserving of it. Wait, who calls them "narsisstics?" Worldwide, selfie sticks are being banned at popular tourist destinations, especially museums. None of them wanted to wait for a Picasso to get pierced by one before the rule could be put in place.